Phildelphia Fusion tank player Gael “Poko” Gouzerch gave us a few key D.Va tips. Philadelphia Fusion tank player Gael “Poko” Gouzerch has made a name for himself playing D.Va in the Overwatch League—something that’s not easy to do. Fanfare and glory often goes to a team’s DPS players for getting huge numbers of kills and landing hard-to-hit shots. D.Va is not a particularly flashy hero. Sure, she’s got her Self-Destruct, but it’s not often that we see the ultimate making a huge difference with regard to kills. It’s used more in professional play as a zoning tool to push enemy players out of the way. 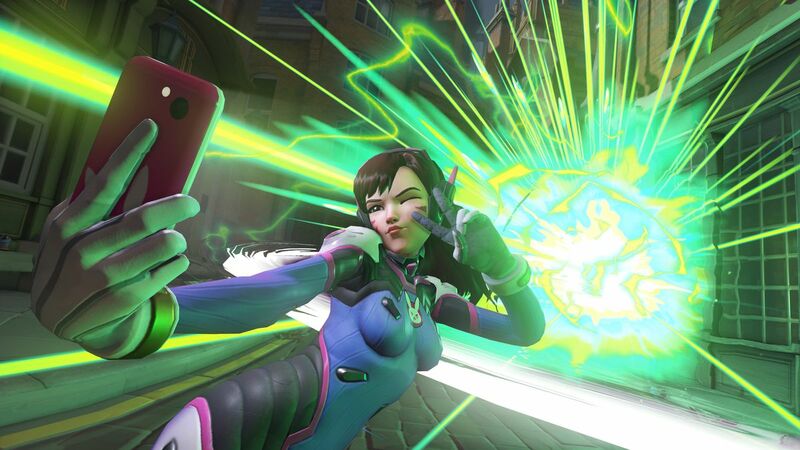 Professional players know where to hide when they see a D.Va bomb heading their way—and that’s what they do. But Poko is redefining the way that D.Va is played, especially with regard to her ultimate ability. Across his Overwatch League career—which is just going on to its third week, mind you—Poko has consistently landed Self-Destruct’s that catch enemies off-guard and pick up multiple kills. So how does he do it? Lots and lots of practice, Poko told Dot Esports. Poko said it’s a difficult decision to make within the span of less than a second before the D.Va bomb lands, especially in a place as competitive as the Overwatch League. One single error affects the whole team’s chance of winning—and that puts on the pressure. Change your positioning or timing by small increments—those make all the difference in a game like Overwatch. Continuing to practice in this way is near guaranteed to make an impact on your D.Va bomb placements. Time has been a big factor in Poko’s success. After all, he’s been playing tanks since Overwatch’s beginning, though he started off playing Zarya and Roadhog. But it was when D.Va’s Defense Matrix got buffed and dive composition dominated that he took up the South Korean hero. He found her boring for a while, as teams relied heavily on the D.Va player staying back and protecting the team with the Defense Matrix. The way Poko plays D.Va remains unmatched in the Overwatch League. Philadelphia Fusion’s next match is scheduled for Jan. 25 at 7pm ET against New York Excelsior. They’ll play Shanghai Dragons on Jan. 26 at 9pm ET, too. If there’s anything we’re certain about, it’s that there will be plenty more D.Va bombs from Philly’s star D.Va player.